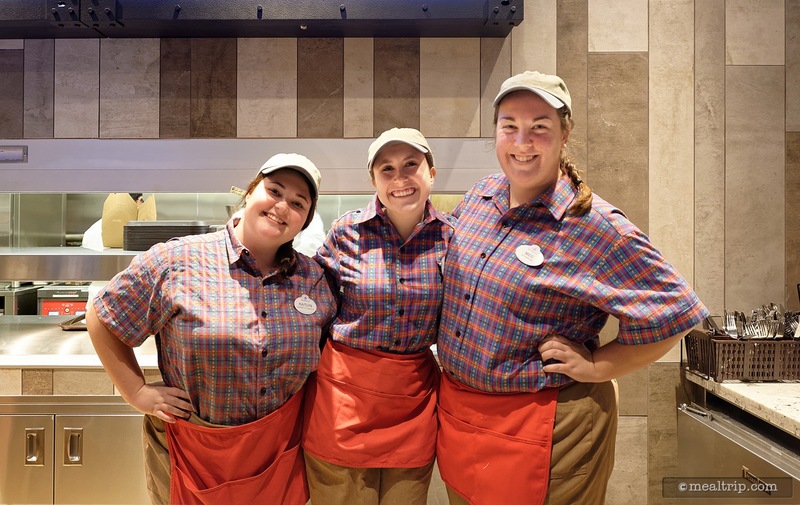 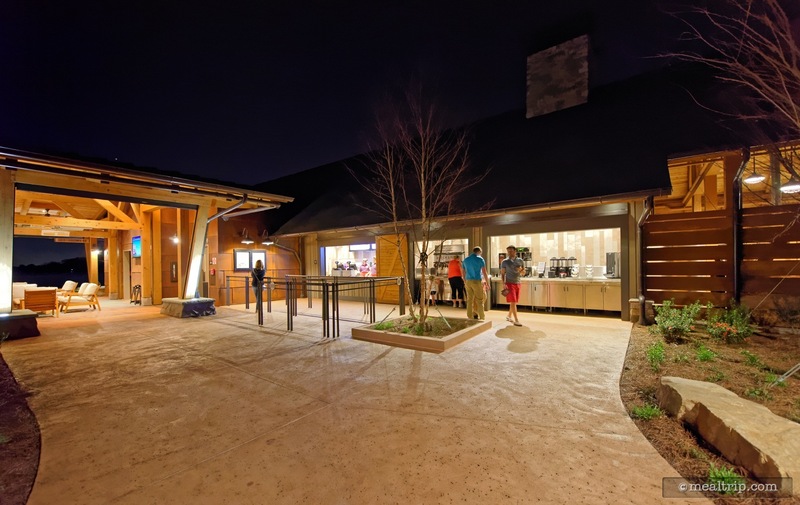 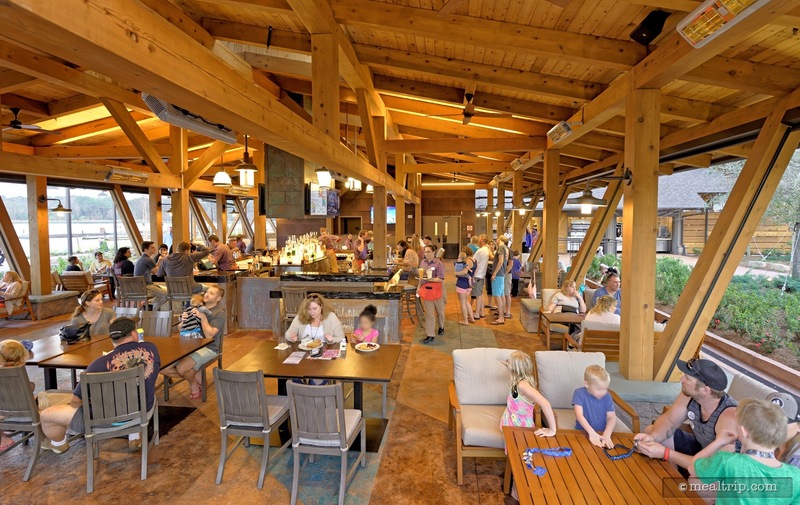 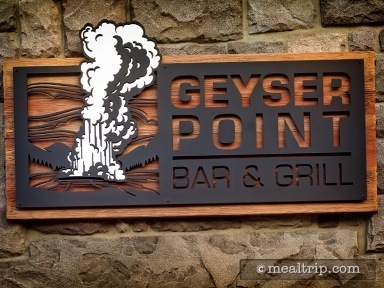 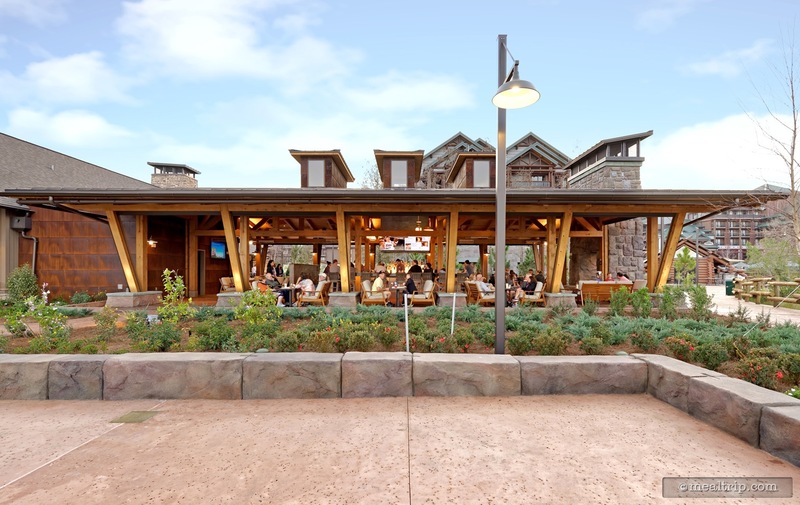 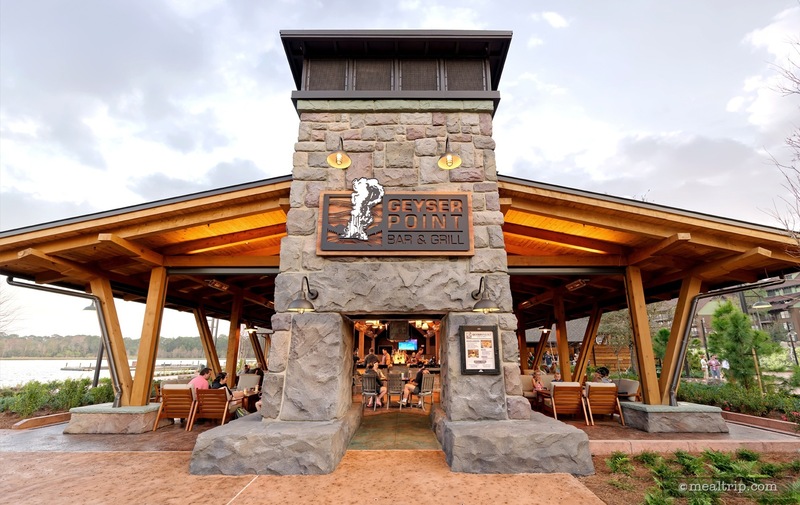 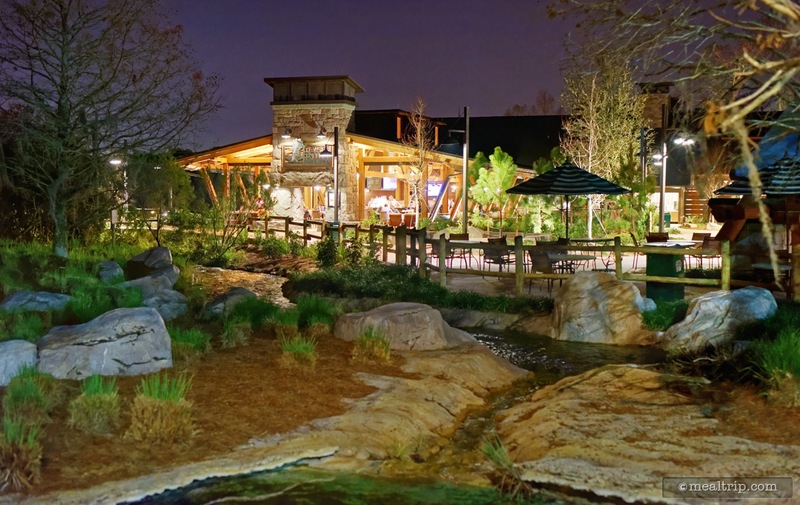 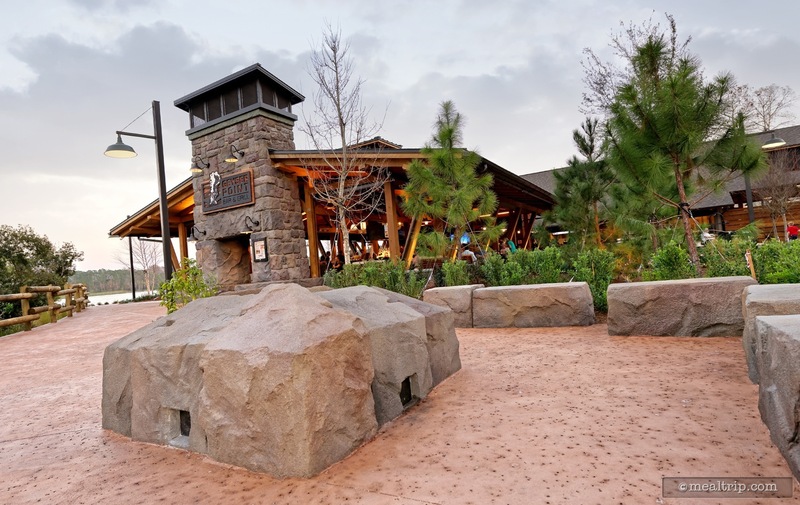 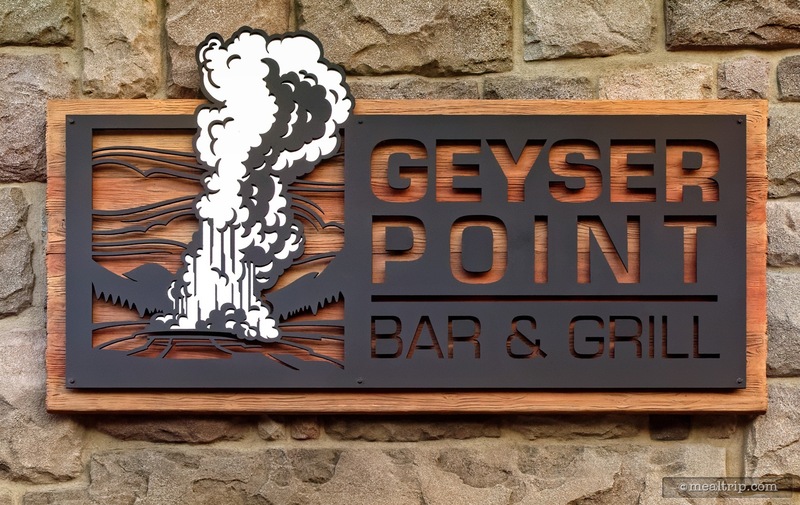 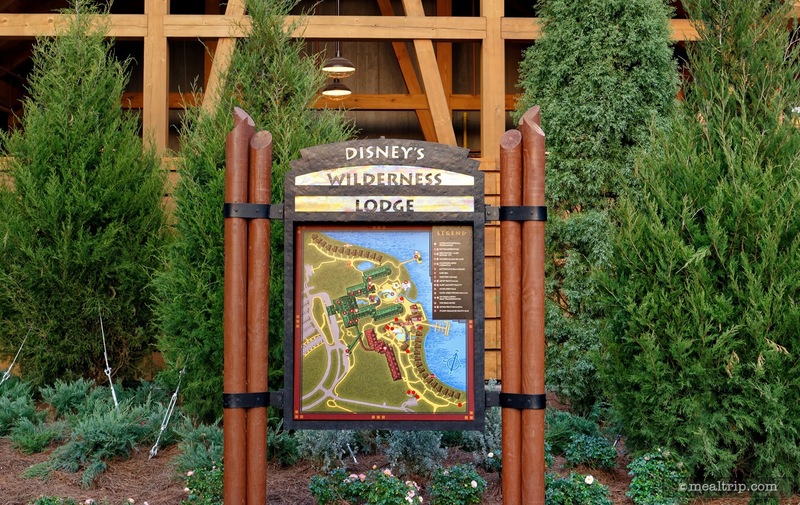 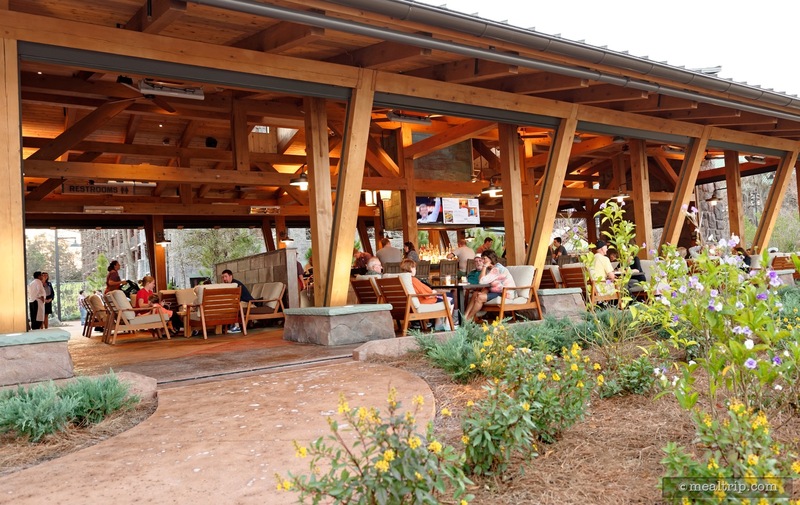 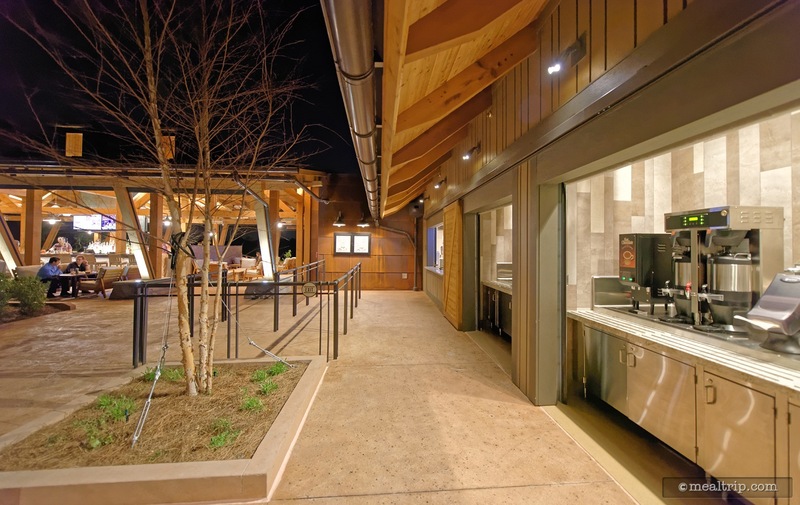 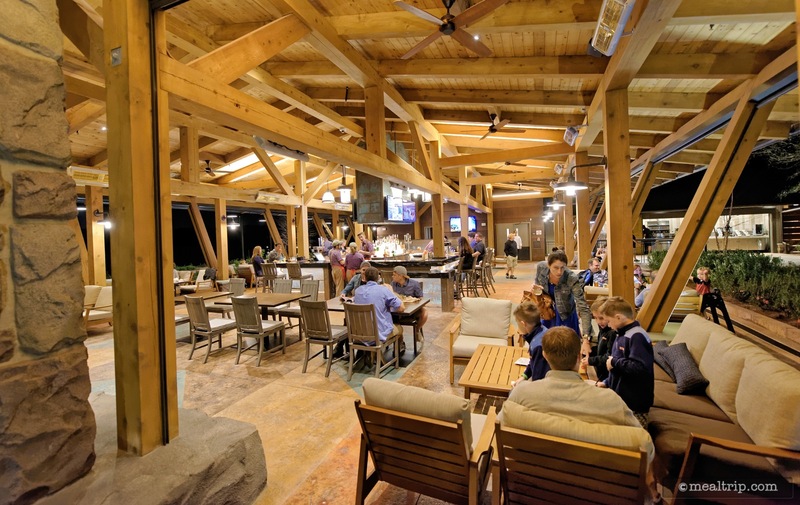 The Geyser Point Bar and Grill is located along the water's edge (at the very back of the resort) and features design elements from the Pacific Northwest region, (which fits in with the Wilderness Lodge resort quite nicely). 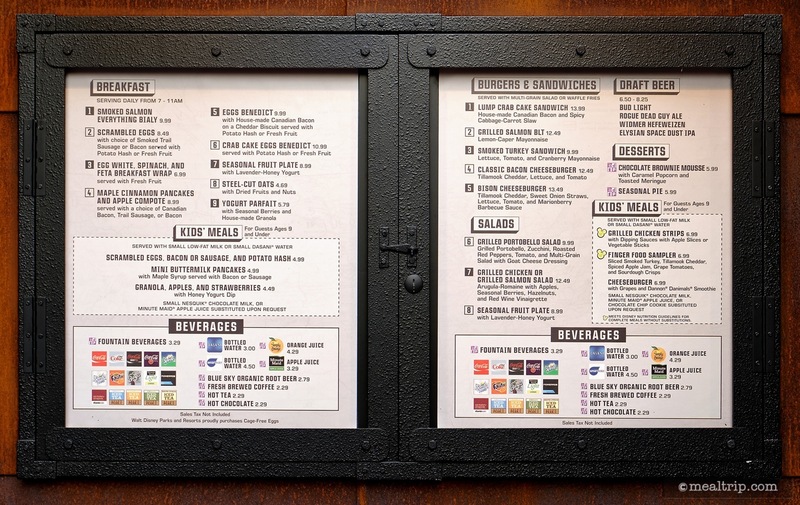 The Lunch and Dinner (same) menu is available from the quick service window from 11am until midnight (12am). 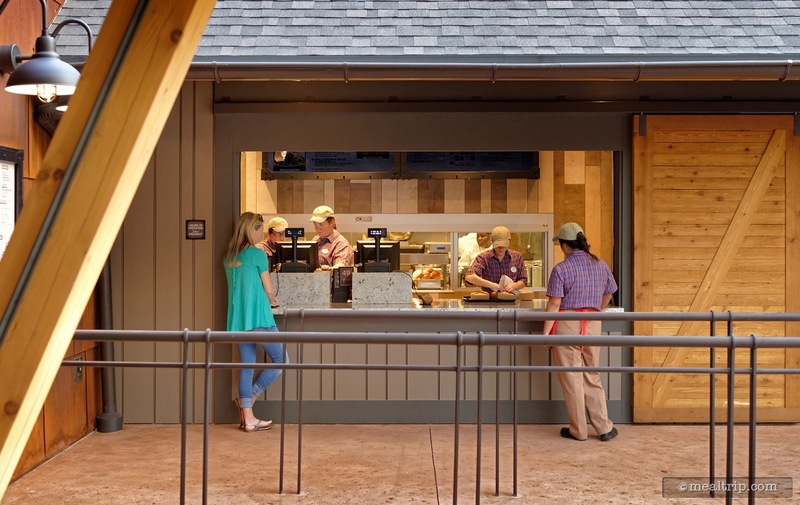 There really is no seating dedicated for the walk-up window, but they don't seem to mind if you sit in the nearby lounge... for now anyway... especially if you order a beer, or two.